The nearest point to Tollerton of the Grantham Canal is down near Gamston near the new allotment sites. The person in the foreground of this picture is Ruth Dodd’s Grandad – George Frederick Ashford. 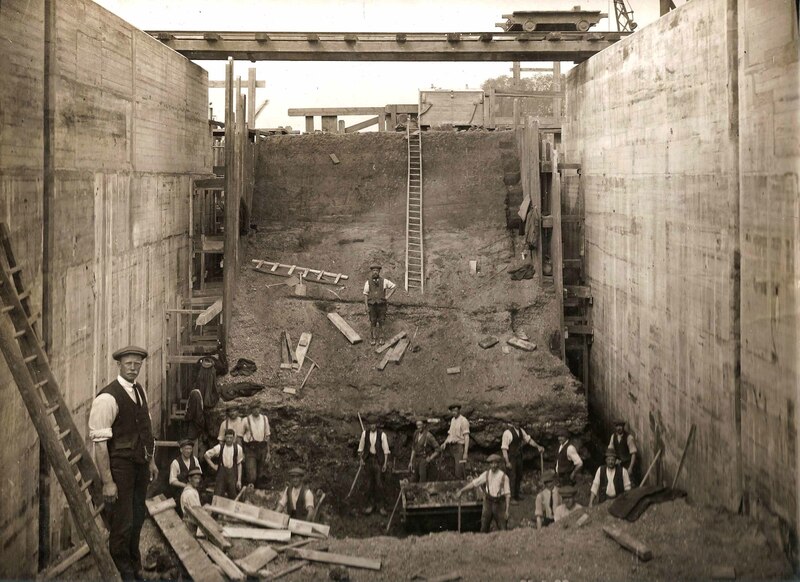 He lived in the village and this fascinating picture shows him inside one of the Gunthorpe locks in it’s construction.